Summer is the time where we feel lighter, and travel lighter. Even the biggest pack-rat will make some swaps when the temperatures rise. We had no shortage of beautiful summer days here. Temperatures sky rocketed, and so did the drought. Water became even a bigger necessity than before, and fire in any form, no longer allowed. We gladly traded our coats for extra water, and made sure we wore our hats to protect ourselves from the sun. He went for the long hunter, all leather look, for this trip. Reminding ourselves that heirloom pieces can be made by your own hands, when you give it enough time and effort. Rocky Woodland Forge Tomahawk, Mora knife, Victorinox multi-tool, pouch with first aid kit, fire kit, ferro rod and more tools. Favourite item: The leather belt pouch I made myself. It is big enough to carry all I need, and small enough to wear on a belt. On his neck a Condor Neck knife and on his feet Xero Shoes FeelTrue DIY Sandles. She went for that vintage vibe. Not because of hipster reasons, but because this is what she has got. Use it up, wear it out, make it do, or do without. Wetterlings axe, fire kit, ferro rod, Condor knife, secondhand Fjällraven bag, tool kit, bankline, first aid kit, identification book, Nalgene waterbottle. Favourite item: This bag goes with me wherever I go, but it is a tough one to pick a favourite! On her belt a Condor knife and on her feet Xero Shoes Z-Trek Sandles. All packed we were ready for adventure. To find the unbeaten path, feel our feet touch the earth, get dirt between our toes, enjoy the shade beneath the trees and fight off a billion of mosquitoes. What has been your favourite gear this summer? Honesty, transparency and authenticity is very important to us. 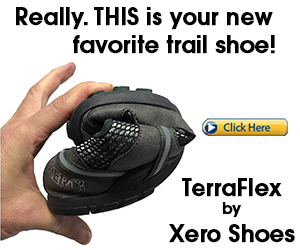 Read more about our partnership with Xero Shoes on our blog. You can also find us on Pinterest, by clicking on the image.